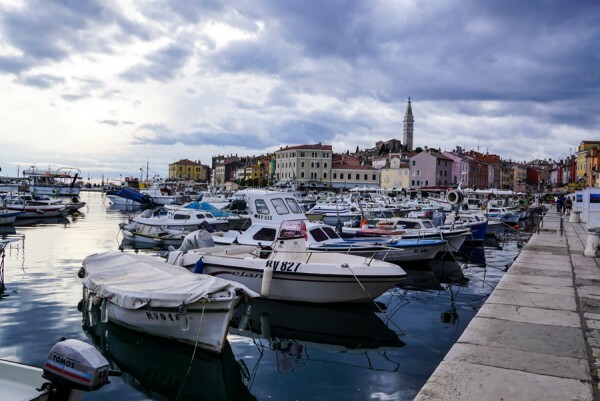 Rovinj and its pastel colors facade, its Mediterranean fisherman’s port and boats, gelato shops and Ciao in place of Dobar Dan is the perfect blend of Italian Riviera and Croatian seaside harbor. I adore its mix of modern restaurants and old town charm. 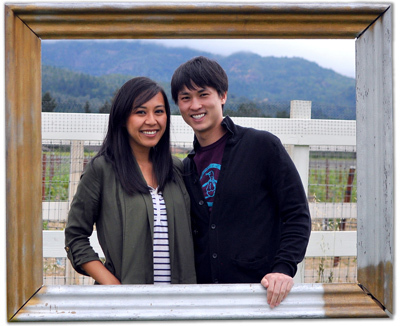 It’s got just enough small town feel, not overly crowded with tourists and the pace is just right. This is my kind of town and our favorite of all the ones we visited. Rovinj was our home base for our week in Istria. 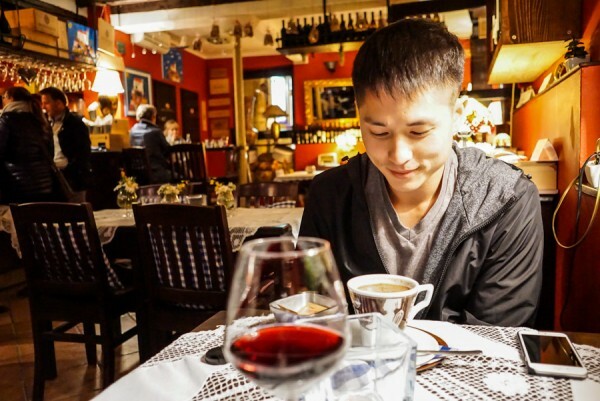 Most days, we spent day trippin’ outside of Rovinj driving to neighboring towns to explore. We never made it back in time for lunch, but if it’s any good as the dinners we had, then wow we wish we had more days here! 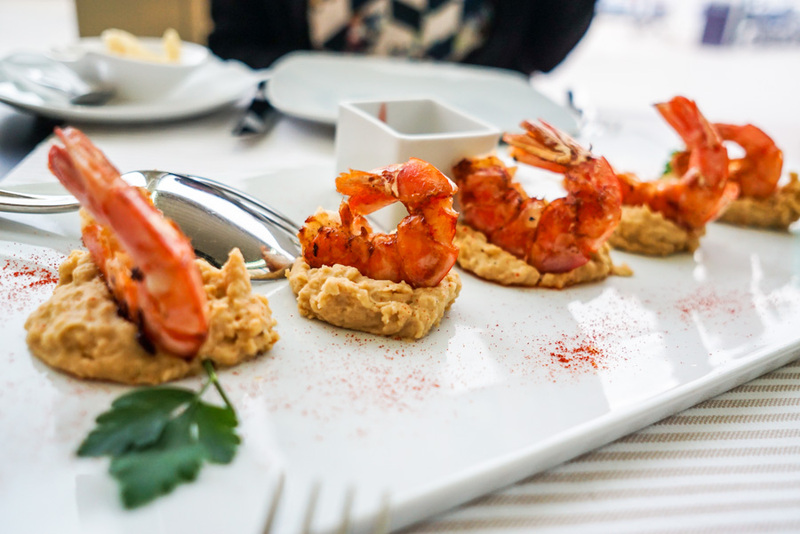 Dinner at Rio Bar is a great option if you’re seeking a meal along the waterfront. 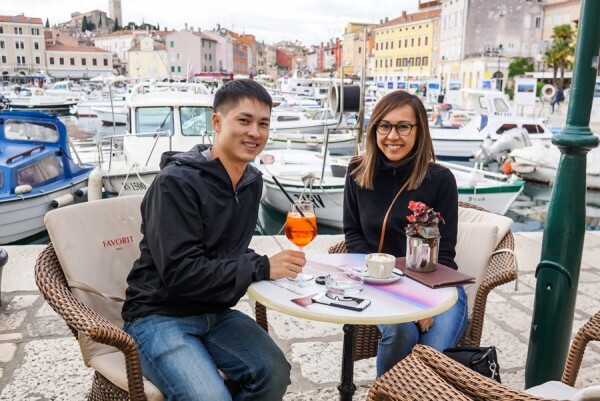 Tip, come before sunset, grab one of the outdoor bar seating and order an Aperof spritz, a local favorite, while catching sunset over the Adriatic. Personally, it taste like bitter sparkling Fanta orange and not our cup of tea. Tipico Old Town is literally outside our doorsteps and is highly rated on Tripadvisor. It’s an unassuming place, good for a no frills family meal. We ordered roasted chicken with local fuzi pasta and daily vegetable soup. Honestly, it doesn’t matter what you eat, they’re all good, just save room for dessert and get the lemon cheesecake! 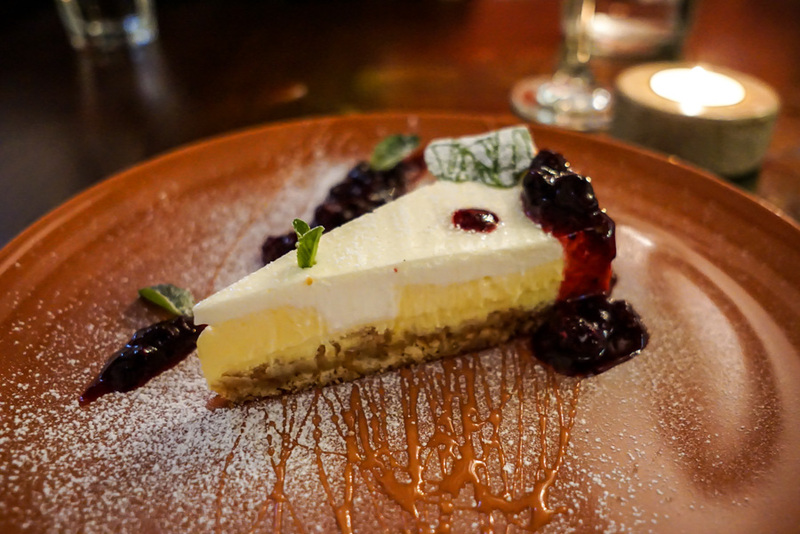 Seriously, Croatian cheesecake is like none other cheesecake we’ve ever had — extremely creamy and airy, the lemon wasn’t too tart — simply to die for. 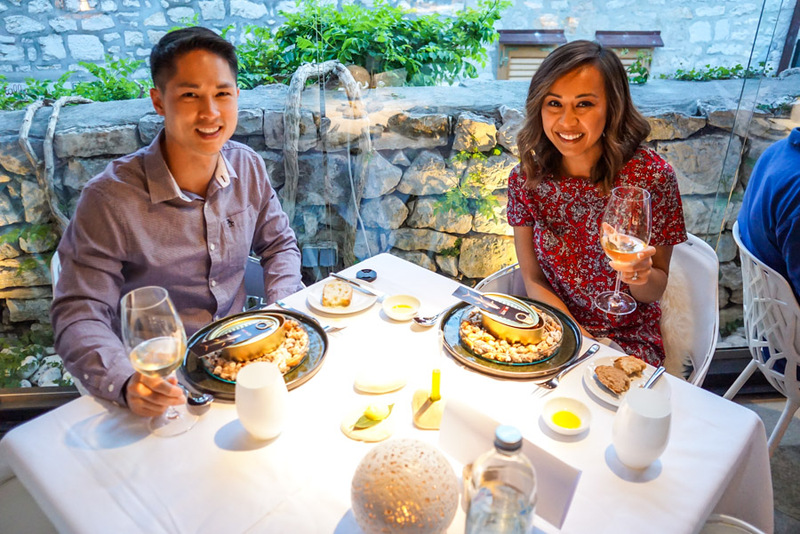 For our last meal, we decided to get dolled up and go all out at Monte, one of the fine dining restaurants in town. We never made it to lunch time in Rovinj — most days we’d take day trips outside of town returning just in time for dinner. 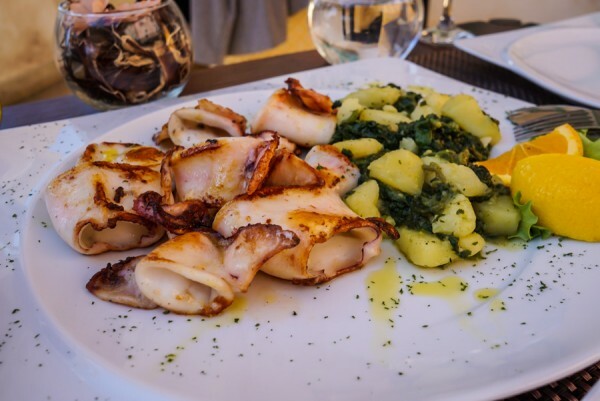 If you want seafood “big snack” done the old fashioned Istrian way, get the grilled octopus to share at Aqua2. You won’t be disappointed. 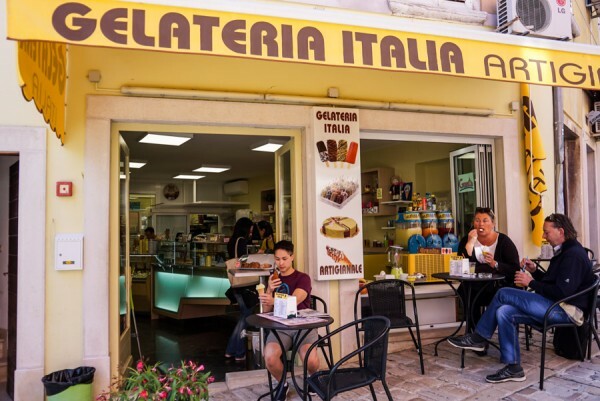 We were told the best gelato, that of which could rival Venice itself, is here in Rovinj so we had to get some. Plus, everyone else seem to be on that gelato culture, it’s hard to go anywhere and not see someone enjoying a cone in their hand. We tried Pistachio at two different spots — Chocolat and Gelateria Italia. 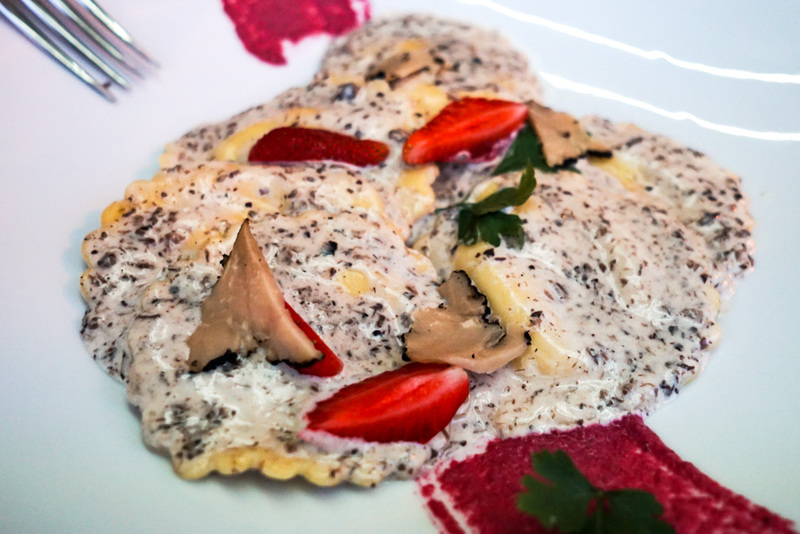 A close call but Gelateria just narrowly beating Chocolat. No samples allowed at either. 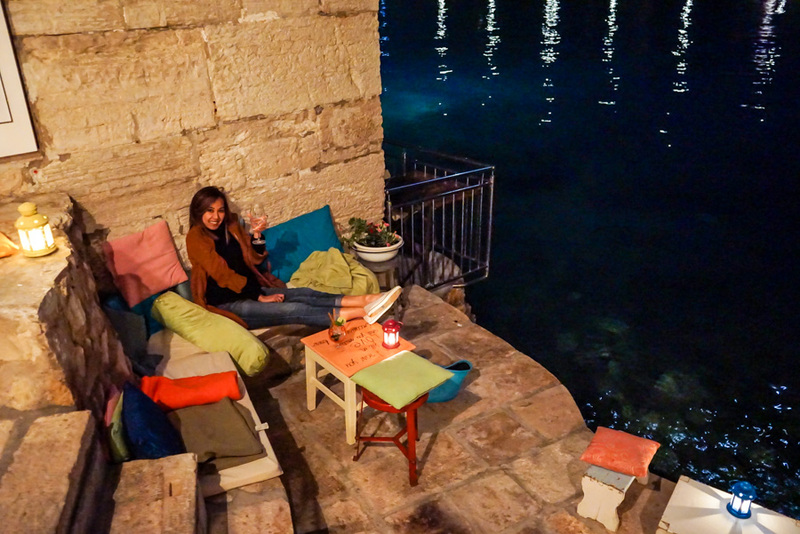 For a nightcap, drop in to Mediterraneo Bar and plop down on one of the many colorful cushions and tiny chairs set on the water’s edge. By day, I’m sure the view alone is worth stopping by. But if you just want cheap, delicious wine then check out Piassa Granda. Gerard was wine’d out by then so he opted for a hot chocolate while I had a house red. 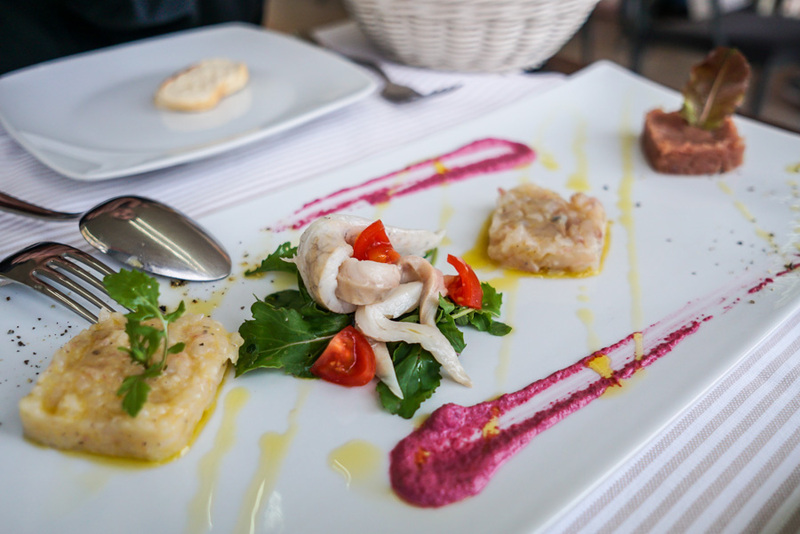 What’s your favorite Istrian town?